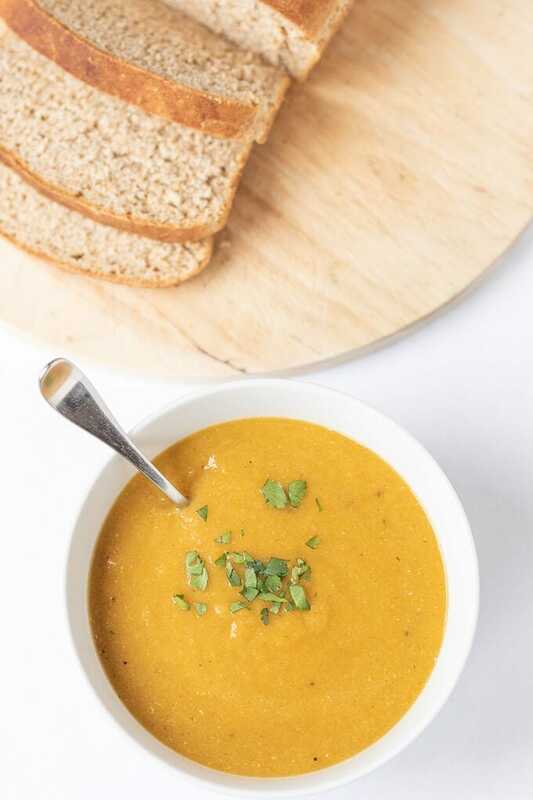 This healthy carrot and lentil soup is a simple, tasty and filling bowl of deliciousness! 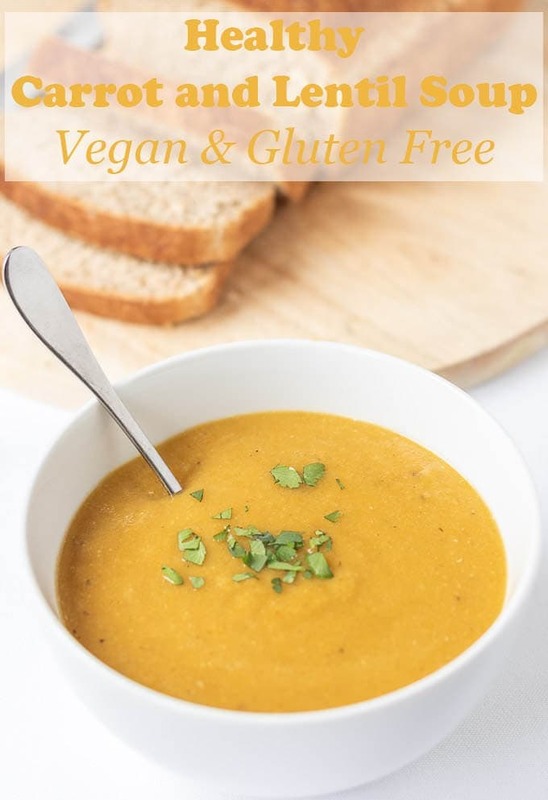 Vegan and gluten free, it takes just a few budget ingredients and spices to create this hearty quick healthy soup! 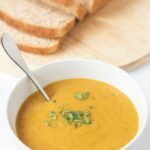 This carrot and lentil soup is one of my all time favourites! It’s amazing what you can do with just a few simple vegetable ingredients. And one that tastes just great! 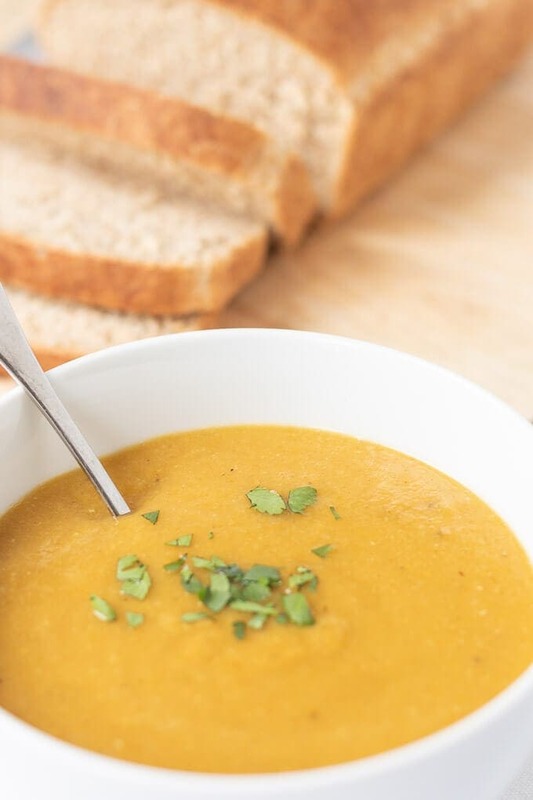 This low calorie carrot and lentil soup has only 212 calories per serving. With plenty of vitamin A and C and a good helping of iron it’s vegan and gluten free too. What is there not to like about this carrot and lentil Soup? 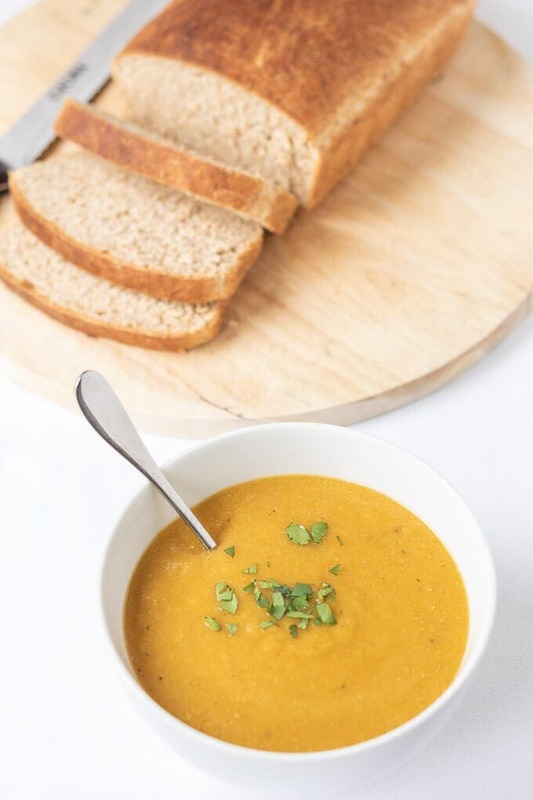 This carrot and lentil soup is one of my most favourite work packed lunches! It’s just so tasty. If I’ve had a particularly hectic morning then this soup soon brings a smile back to my face. I just normally top the soup off with a few coriander leaves. I like to keep it simple. But you could add a little sour cream before serving for decadence if you like. Or some no fat Greek yogurt to keep it healthy. However you choose to serve this soup, you will feel it filling you up very quickly! 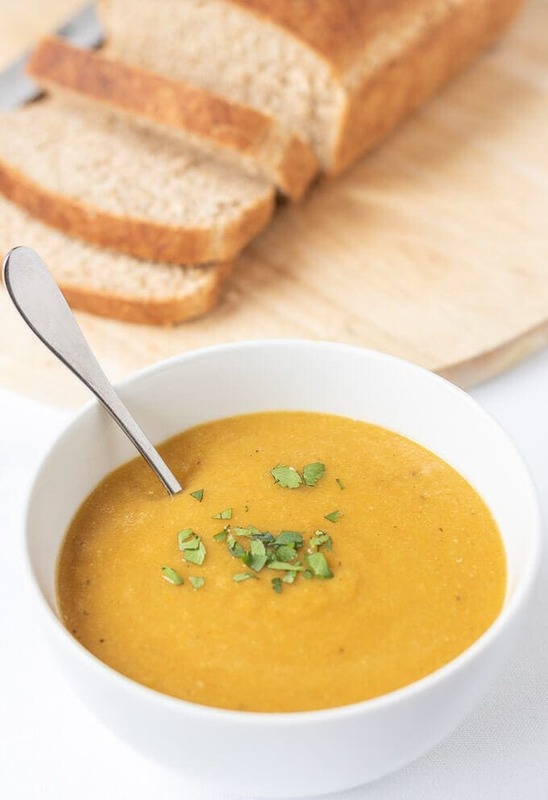 If you enjoyed this healthy carrot and lentil soup, you might also like to check out my popular tomato and green lentil soup or my carrot and sweet potato soup. Watch the short video I made to show you how to make this delicious healthy carrot and lentil soup. It shows you how easy it really is! I recommend a couple of slices of wholemeal bread to go with your carrot and lentil soup. You can make sure you mop up every last drop of deliciousness from your bowl! Add the diced onion and soften it, stirring continuously for about 4 – 5 minutes, then add the diced carrots adding drops of hot water if the mixture becomes dry or begins to stick and continue to stir for a further 3 – 4 minutes. Add the lentils, ground coriander, ground ginger, mild chilli powder and vegetable stock. When the soup has cooled a little, blitz it in a blender / food processor and return to the pan, season to taste, garnish with the chopped coriander and then serve. This carrot and lentil soup looks amazing. Yum, can’t wait to try it out. Thanks for the recipe and the video too!